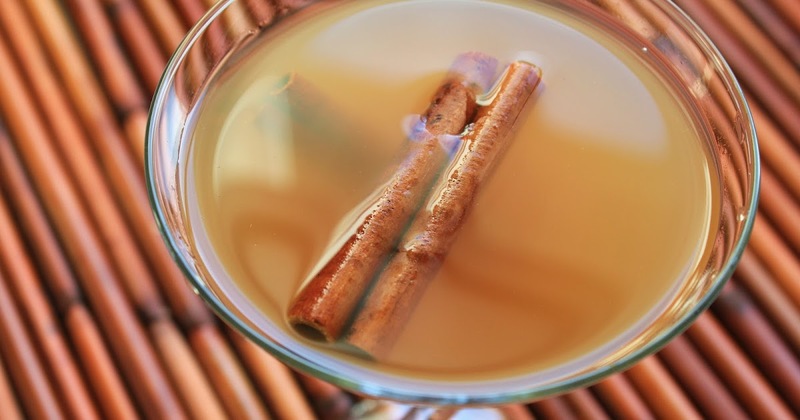 If you want non-alcoholic, use a teaspoon of rum flavoring and 5 ounces of apple cider. Mix in a rocks glass with ice, or shake with ice and strain into a martini glass. To make for a crowd, replace the ounces with cups (i.e. 4 cups apple cider, 1 cup spiced rum, 1/2 cup simple cinnamon syrup), mix in a pitcher and chill. Garnish with cinnamon sticks. In a small sauce pot add water and cinnamon and bring to boil. Simmer for 10 minutes, and strain out cinnamon sticks. Bring water back to a boil, add sugar and stir until sugar is dissolved.